Diana Nuñez Channing, the main character of these two fictional odysseys, summarizes her young life thus: "I'm eighteen and free to go where I please. Already I've been a farmer, an orphan, a soldier, and a wife. I barely escaped being a mother." Diana is an inhabitant of a future post-oil, secessionist American Southwest who finds herself having to grow up fast when her family and neighbors are killed by a draconian local militia. The Will and Diana Adventures is a collection of short stories showing Diana's revenge-fueled transformation into a warrior, while My New-Found Land is a post-apocalyptic road novel in which Diana sets out to see the world and follow a dream. Thanks to author Ann Pino's first-class storytelling ability, these books deliver both a satisfying narrative arc and a believable, well-realized world. We never learn how far in the future Pino's narrative is set, but it's distant enough from our time that many people have hazy recollections of the modern industrial world. Those who best remember early-21st-century life are the rich, since their wealth has allowed them to maintain access to today's comforts and conveniences long after they became unaffordable for everyone else. Rich people continue to enjoy automobile ownership, passenger rail service, electricity, antibiotic medicine and many other present-day wonders. Most people, however, are consigned to traveling on foot or by horse, illuminating their surroundings with lanterns, hoping for the best when infections take hold in the body–and, in desert regions like Diana's, scrounging for potable water. 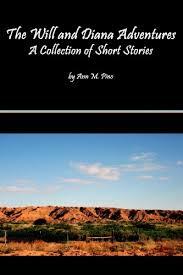 Adventures consists of linked short stories written in a flash fiction style. There are 14 of them and they're a few pages long on average, often containing just one or two scenes. Though a larger narrative ties them together, each piece tells a self-contained tale that feels like a fleeting but poignant snapshot. Significant time intervals elapse between some of the stories, which cover a period of about four years. The first story opens with a 14-year-old Diana sheltering on an Apache reservation following the massacre that killed her loved ones. She now has a new family in fellow orphan Will, also 14, and Will's adoptive mother Amalia. The reservation where they live is located in what was once New Mexico and is now part of a nation called the Southwestern Republic. Civil war has broken out within the Republic, prompting some Apaches to become hostile toward Anglo people. In the opening story, our protagonists conclude they've overstayed their welcome on the reservation when Will comes home one day badly beaten. But where else can they go in this world of pervasive downward mobility? A tribal elder suggests to Amalia that she, Diana and Will join a fighting group, since the children are good with weapons and horses and Amalia has spying skills. That is what they decide to do. In the book's second story, these three characters set off by donkey-drawn wagon for the regional command of Unitas, a network of cells committed to bringing about a negotiated return to the United States. Unitas is an interesting mix of democratic ideals (chief among these inclusion and free and fair elections), military-like order and guerrilla warfare tactics. The group forbids recruits younger than 16 from fighting unless they can prove they've previously fought for another group. Thus, when Diana and Will first join, they're put to work as messengers. Ever the mother, Amalia quickly observes how continual warfare has made the other Unitas children into suspicious, half-wild creatures. She resolves not to let this happen to Diana and Will. The deeper we move into Adventures, the longer the time lapses between stories become and the more each one feels like an isolated still scene. One story, involving an ill-fated visit to a madman's dungeon, ends on a cliffhanger that is never resolved. However, we strangely don't mind not finding out how our protagonists escape predicaments like these. Instead, we're fascinated by not knowing where in our characters' lives Adventures will pick up next. In the time since the events of the first book, Diana has become disillusioned with the course of her life so far. She has married Will and come to regret it. Memories of their shared childhood trauma haunt her. Above all, she's tired of killing people and living in a desert wasteland–and she yearns to pursue her childhood dream of caring for horses. Eventually she reaches a breaking point and slips away from home one morning with her horse Fletcha, some weapons for hunting and self-defense, a small reserve of nonperishable food items and a few mementos in case she never returns. It's mid-December and snowy, but Diana is determined to brave the weather. Her journey, which today would amount to two or three days of freeway driving, takes 144 days. That Diana is traveling on horseback is only partly to blame for her glacial pace; she's slowed down mostly by the circuitous route she's required to take and the side adventures she’s swept into along the way. She is unable to head in a straight line because of the numerous conflicts, pockets of disease outbreak and other ills afflicting the former southern United States. In addition, she finds herself stopping for days at a time to replenish resources and tend to the needs of the various traveling companions she acquires. She even becomes involved in a passionate, ill-considered romance, one that guarantees to set her up for life economically but also to rob her of her autonomy. Some of the grittiest violence in this novel ensues when Diana starts working for a drug and gun runner so that she can buy medicine for a sick boy who's been traveling with her. Diana stabs and shoots people, slits throats and witnesses even greater atrocities committed by rival gangs. At one point the local community is overrun by a riot that leaves buildings in smoldering ruin, dead children's bodies strewn across streets and women and old men dangling from streetlights. Throughout the mayhem, Diana's commitment to nursing the sick boy back to health never falters. Unitas didn't just make a formidable fighter out of her; it also taught her to help others and value human life, resorting to violence only when necessary. What intrigues me most about Diana is the odd combination of world-weariness and innocence she represents. Diana might know how to hold her own in a fight and when to steer clear of an alley, but when it comes to things unrelated to her mercenary skill set, she lacks basic experience and knowledge. Though intelligent and an avid reader, she, like most kids she grew up with, never had the opportunity to travel far or attend formal schooling. She's unaware that Baltimore isn't in Tennessee. Gazing up at a starry night sky, she muses that the stars are probably "cool and rough, like little pebbles." At one point she confesses that she's "just an ignorant country girl with no education, no skills, no prospects"–and then demands to know in despair, "Why had I ever thought I could strike out on my own?" While the post-apocalyptic setting of these books is ripe for a polemic or cautionary tale, that isn't the direction Pino chooses to take. 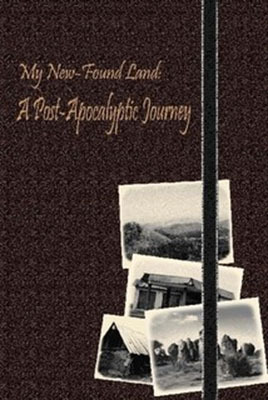 Rather than promulgating an ideology or moral lesson, Pino sets out simply to tell an exciting yarn and detail her vision of a plausible dystopian future. That doesn't mean her characters never reflect on the real-life, modern-day follies that brought that world into being. They do so from time to time, as for example when Diana asks why we early-21st-century Americans constructed our built environment so shoddily and made our cities and neighborhoods look so similar. In answer, another character suggests that perhaps it's because we knew the stuff we were building was ugly. For someone who exists in a world so different from ours, and who makes her living as a mercenary, Diana is surprisingly relatable. Most people could identify with her insecurities, her search for a personal identity, her wanderlust and her pursuit of an idealistic dream. These are things Diana tends to keep to herself, for fear of being taken advantage of by others. She tries instead to project an air of confidence and calm. Congratulated on her bravery in the face of mortal peril, she admits it's a façade–she feels plenty of dread but refuses to let herself show it. This diary is the one place where she permits herself to be truly vulnerable, laying bare her fears and doubts.